There is no more breathtaking or informative boat charter than the Space Coast tours offered by Freedom Sailing Adventures. Under the powerful grace of a billowing sail, you and up to 5 others will enjoy 2 hours of getting up close with nature in an intimate setting away from the crowds. Take your pick of an afternoon adventure or sunset sailing trip. Captain Greg might even let you take a turn at the helm if you'd like! Captain Greg and the family boat, Freedom, sail daily on the Indian River. Trips leave from Merritt Island, about 10 minutes from Cape Canaveral and 15 minutes from Cocoa Beach, Titusville, Melbourne, and Rockledge. Of course, all trips are weather permitting. Not only will you spot local marine life like manatees and dolphins, but our cruises also take us past a bird sanctuary. Practically every trip is filled with sightings of great blue herons, tri-colored herons, white egrets, king fishers, ibis, brown pelicans, terns, seagulls, cormorants, anhingas, and, at certain times of the year, bright pink birds called roseate spoonbills. 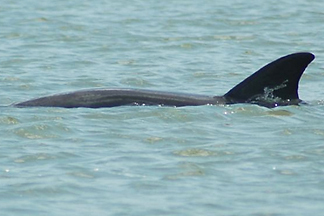 After leaving our marina, it is often not even 10 minutes before we encounter manatees and bottle-nose dolphins. Sometimes the dolphins like to play with our boat as we pass by, and can even come almost close enough to touch! 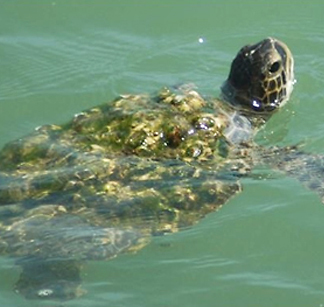 Small alligators and sea turtles have also been spotted by our crew. Set sail over the pristine waters of Orlando for an outdoor adventure that includes a colorful sunset. On our sunset cruise, you'll marvel at the picturesque scenery along the shore and over the waves, while looking out for local marine life and local birds. * Taxes are included in all prices, and tipping is optional.